Reality Church Boston is led by a plurality of leaders; The Elder Team, as overseers, guide the church. The Leadership Community shares in the vision and direction, and the Church Staff carries out the practical details. As a church following Jesus, we qualify and hold our leadership to the qualifications outlined in Scripture (Titus 1:5-9, 1 Tim. 3:1-7, 1 Peter 5:1-4). Reality Church Boston is led by a plurality of leaders. There are three primary teams of leaders, including: The Elder Team (Overseer), The Leadership Community, and the Church Staff (pictured below). The Elder Team, as overseers, guide the church. The Leadership Community shares in the vision and direction, and the Church Staff carries out the practical details. Other teams include the Board of Trustees, the Ministry Team Leads and the Community Group Directors. These men and women play an important role in the guidance and care of the church body. Al Abdulla is the founder of Reality Church Boston. Prior to becoming a vocational minister in 2005, Al worked with incarcerated youth as a distinguished teacher and counselor in a multi-racial context. Al wanted to be an MTV Veejay in high school (google it), but God had other plans. With a passion to help people grow healthy souls, Al decided to attend theological training before becoming a vocational minister. After becoming a pastor in 2003, Al began organizing and hosting conferences for hundreds of youth workers from around the world. Together with the Reality family of churches, Al and his wife Nina discerned a call to plant a church in Boston. Al, his family, and two dozen others moved to Boston in 2012 to birth Reality Boston — becoming the first Reality on the East Coast. Al’s graduate work is in Counseling and Education, with a B.S. in Business. He and his wife, Nina live in Boston with their three daughters. 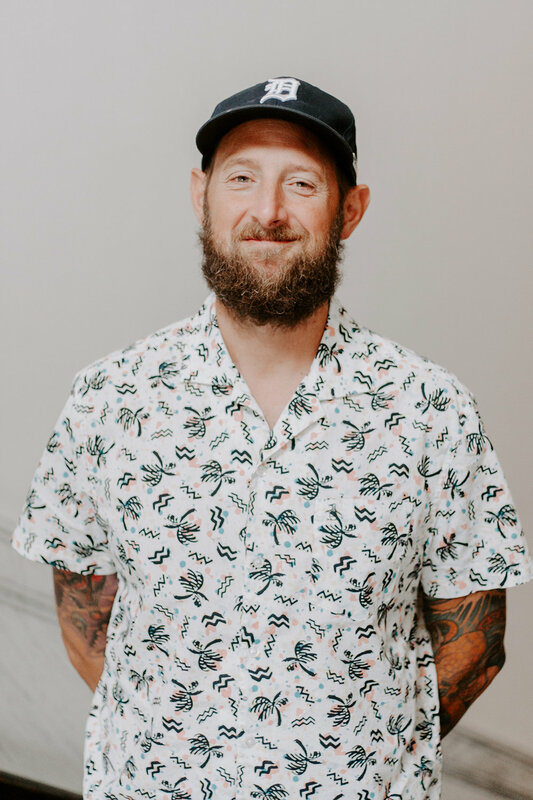 Al is a life-long learner; he enjoys jiu jitsu training, adventure, snuggling with his family, 90’s hip hop, and sunshine. Morgan is originally from the Jersey Shore and moved to the Boston area as a student of Gordon College. She now lives in Quincy with her husband Dave and daughter Avery. Before coming on staff, Morgan worked in several public and private schools teaching Early Childhood Education and Spanish while completing a Master's Degree in Curriculum Instruction and Design. Morgan joined the staff team in 2016 as the Kids Ministry Director and spent 3 years overseeing the ministry, developing leaders who are passionate about the spiritual formation of children, and creating a culture that points children towards the gospel of Jesus Christ. In 2018, Morgan transitioned into the role of Director of Ministries + Operations and now oversees our volunteers, ministries, and overall operations. Morgan loves going to the beach with friends and family and could spend all day sitting in the sun and swimming in the ocean. Morgan and Dave really value playfulness, joy and laughter in their relationships and their favorite part of the day is dancing and cooking in the kitchen with Avery. Nia is a Boston native, born and raised in Dorchester and now resides in Weymouth with her husband, Sam. In the Spring of 2013, she started attending Reality Boston and by the fall was serving on the music team. She is a graduate of Berklee College of Music, and worked for her alma mater in Admissions for three and half years before prayerfully joining the staff in April of 2016. She oversees corporate worship and cares deeply about the formation of our community through the sung Word of God. Nia and Sam love exploring new places to eat, walking by the harbor, playing music together, and laughter. These men and women play an important role in the guidance and care of the church body. For contact requests, please click the button below.